Still haven’t given up on those new year’s fitness goals? 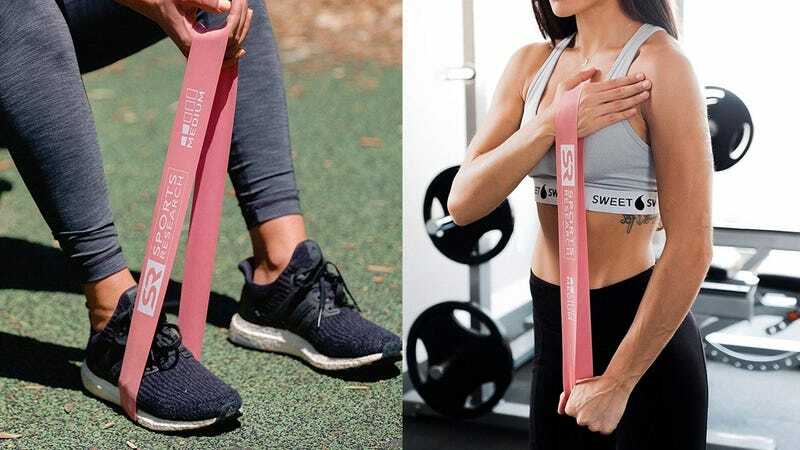 These resistance bands let you get a full workout with nothing but your own body and a few square feet of space, and at $13, they’re quite a bit more cost-effective than joining a gym. The set includes five bands, each color coded, and with varying levels of resistance, so you can graduate from one band to the next as you get stronger.